Travelling is something I love to do and would enjoy doing more often if time and funds allowed. When I spotted Notes of a Naïve Traveler by Jennifer Alderson on the RBRT review list, I knew it was the book for me. I love how this story is told in a diary/email format as it brings the adventure to life. Alderson throws herself into her travels embracing the cultures, highs and lows of family life, and opportunities presented to her by the Nepali people before moving on to Thailand. She spends Christmas and New Year away from her family but doesn’t deny herself the occasional present. There is plenty of humour as Alderson’s bubbly personality shines through. She writes in such a way that you feel connected to her and her journey. I’m sitting in a pub that The Book (Lonely Planet Thailand) recommends, sipping whiskey and coke, staring at a gigantic Christmas tree, and listening to U2 and Radiohead. A frail Thai man selling Santa Claus hats with flashing battery-operated balls dangling off them walks up and down the street in front of me, displaying his wares and a toothless grin to all potential customers. Part memoir and part travel guide, Notes of a Naïve Traveler, includes all the necessary ingredients for anyone hoping to visit Nepal or Thailand. The inclusion of photographs helps the reader to engage with what Alderson is experiencing. Thoroughly enjoyable read. I look forward to more from this author. Thank you, Shelley! I’m so glad you enjoyed your trip to Nepal and Thailand. Have a wonderful day! That’s the ultimate compliment! I do hope you get the chance to go! Glad you liked it too – and it made me realise how important it is to LIKE the person whose memoir you’re reading – I thought Jen seemed great. Totally agree! I felt like I was sat having a cuppa with her as she told me about her travels – perfect recipe for a successful memoir! Geez, thanks again, Shelley. That’s really great to know. Thanks, Terry 😊 . That’s incredibly kind of you to say! 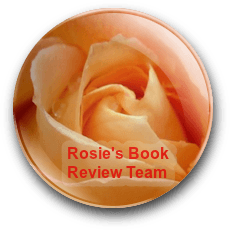 Thanks for offering my travelogue to your review team, Rosie!